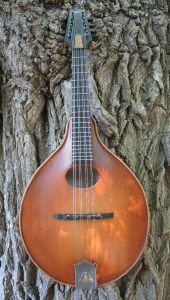 Pomeroy Instruments | Building quality, hand-crafted mandolins and fiddles, one at a time. 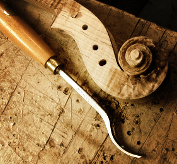 ….Building quality, hand-crafted mandolins and fiddles, one at a time. 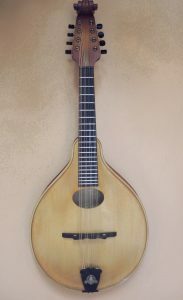 Here at Pomeroy Instruments we’ve established a firm and consistent approach, combining traditional techniques with modern building concepts to create what we believe are some of the finest instruments you’ll find anywhere. As a small custom shop our instruments are truly hand crafted, one at a time. Without the demands and pressures of a production oriented workplace, we’re able to focus on our love for the craft, creating unique, one of a kind instruments. 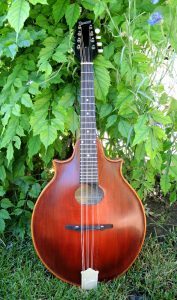 No matter what your mandolin tastes, you may find just what you’re looking for right now in our currently available mandolin and mandolin related instruments, or ask us about a custom order. 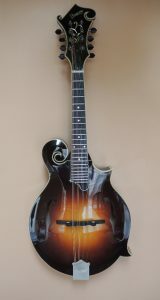 We’ve been building custom mandolins for over 17 years and to date have created over 250 instruments. We invite you to explore our website and get to know us through our instruments and design philosophies. And if you’re ever in the neighborhood, I always welcome visitors to the shop and showroom in Glenwood Springs. Please call or write for an appointment: 970-274-0659 or donpaine@pomeroyinstruments.com. Contact us anytime for current pricing and building schedules. Thanks for dropping in!